When it comes to the multi-family industry, housing managers are responsible for keeping and retaining happy, loyal tenants. Housing managers have a lot on the platter to keep low vacancies and tenant turnover to a minimum. From maintaining building infrastructure to dealing with a host of daily issues, it’s a challenge, to say the least. But once pest issues enter the equation, the challenge of keeping residents happy takes on a whole new dimension. There are few problems in multi-family housing that negatively impact a revenue stream as quickly and as severely as a pest infestation. For multi-family housing, scampering bugs and rodents translate into a poor, depressed appearance as well as the potential for physical damage. Also, certain insects, rodents, and microbes are a potential source of health problems and raise the potential for legal liability and fines. When it comes to pests and multi-family housing, the most cost-effective strategy is to eliminate the problem. Pests such as cockroaches, mice, rats and bed bugs can be particularly troublesome in multi-family housing because they readily move from one dwelling unit to the next. When Cowleys is called upon to deal with pest infestations in a multi-family setting, we handle the problem timely, discreetly, and effectively so that the lives and activities of residents and guests are not unduly disrupted. In multi-family housing, timing is everything. When a pest control professional is called in at the earliest signs of an infestation, the infestation localized and controlled. And that minimizes the number of affected units and tenant complaints. Pest infestations can quickly morph into significant problems if not handled expeditiously. In multi-family housing, pest management can be a tricky environmental challenge. Cowleys understands and has the expertise to resolve the unique challenges of removing pest infestations in a compact, shared living spaces. In an environment where there is a high density of people, the challenge is to find the best way to control unwanted invaders while minimizing the use of applications. And this is where Cowleys becomes a housing manager’s best friend. We have years of experience in Integrated Pest Management (IPM). IPM, which is considered to be the “gold standard” in reducing the likelihood of an infestation and readily resolving an infestation should one occur. IPM is markedly different from traditional pest control involving a heavy application of pesticides; instead, pesticide applications are used judiciously and intelligently so as to optimize their efficacy using the least amount of chemical. Not only does less chemical mean cost savings, but there is a safety issue as well. In multi-family housing, with a high concentration of people, especially in housing where there are children and the elderly (who often have respiratory issues or compromised immune systems), chemical treatments should be used sparingly. The last thing a housing manager needs is for a pest infestation to be compounded with complaints of exacerbated medical problems. Above all else, Cowleys pest management protocols with multifamily dwellings are designed to protect the health and safety of your tenants and employees. Multi-family IPM emphasizes the elimination of nesting sites and sources of water and food. Cowleys will perform a thorough assessment of your buildings to reduce pest access and close potential entry sites from doors and windows, HVAC components, and plumbing systems. While you can’t make your buildings an impenetrable fortress from bugs, you can go a long way to reduce avenues of access, which, in turn, reduces the size of a potential infestation. Cowleys also determines whether there are conditions contributing to pest populations such as sources of standing water and recyclable bins and garbage dumpsters – and then taking corrective action. IPM focuses on resolving the underlying sources of the infestation to minimize future re-infestations while simultaneously removing existing infestations. It makes little sense to get rid of existing infestations without also proactively taking steps to eliminate those conditions that will likely lead to later infestations. When Cowleys is involved in multi-family housing, it is truly a team effort involving our trained technicians along with residents, maintenance and custodial staff, and the housing manager. 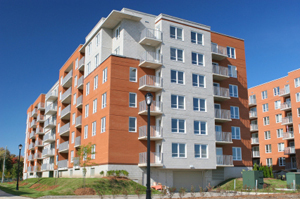 In many apartment buildings, the maintenance staff has the most familiarity with the buildings. As such, they are often the ones most likely to see pests and signs of pest problems. To institute an effective IPM program, the maintenance staff needs to be vigilant in observing and reporting signs of infestations such as rodent droppings and gnaw marks. Electricians and plumbers are also important members of the IPM team since they access areas that others do not frequent; they are in an excellent position to observe signs of infestations such as chewed wiring and rodent deposits as well as conditions such as standing water that lead to pest problems. Finally, and perhaps most importantly, multifamily IPM programs require the cooperation of the residents themselves. Infestation problems must be timely reported to minimize affected areas – especially bed bugs! Residents must be educated about and take “ownership” of sanitation and clutter management that quickly exacerbates pest infestations. Once tenants understand that they are an important part of the solution to living in a pest-free environment, the entire complex benefits. If there is an indication of bed bugs, Cowleys is an experienced, aggressive bed bug specialist that has the experience to contain the problem and keep your costs from escalating. 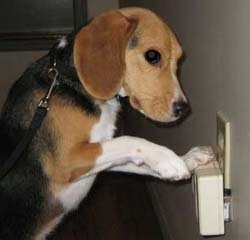 We also have an experienced canine scent-detection team that helps us quickly identify bed bugs by performing quick, nonintrusive sweeps of individual units.